Oval lime green leaves in spring, turn to dark green in summer. In autumn the leaves turn yellow. 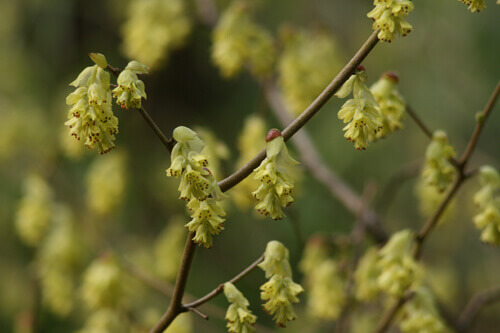 Chains of small yellow tubular flowers appear in spring and have a sweet spicy perfume. Good for pots, borders or as a specimen plant. Good as an addition to a cut flower display. Full sun to part shade.Frost hardy.